Recognizing the Finest Breweries in the Finest City and playing Bocce at the same time. Have fun, drink beer, play bocce, hang out with friends, make new friends. Have fun, drink beer and make new friends. Have fun, drink beer and play Bocce. ................. you get the idea. 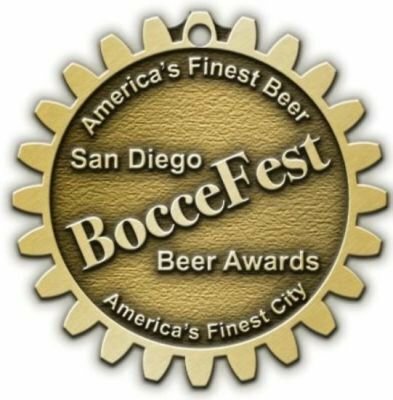 Bocce is one of few games well suited to a beer festival. It only takes one hand to play Bocce. Bocce tournament begins. Beer taps open. Actually playing Bocce is not a requirement. Commenting on other people's games is strongly encouraged. Choice of traditional German Octoberfest option, or a healthy choice. Both pair well with beer. Award ceremony for Finest city's finest brews. 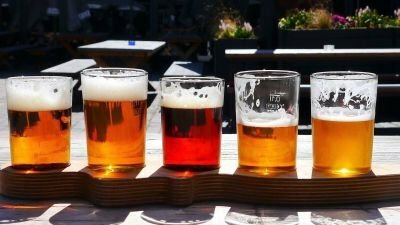 All beer at this fundraiser is donated by these breweries. They're not only great breweries, they are great citizens. The day has warmed up, the beer is cold and the finalists need support. Stick around and enjoy another perfect San Diego afternoon.